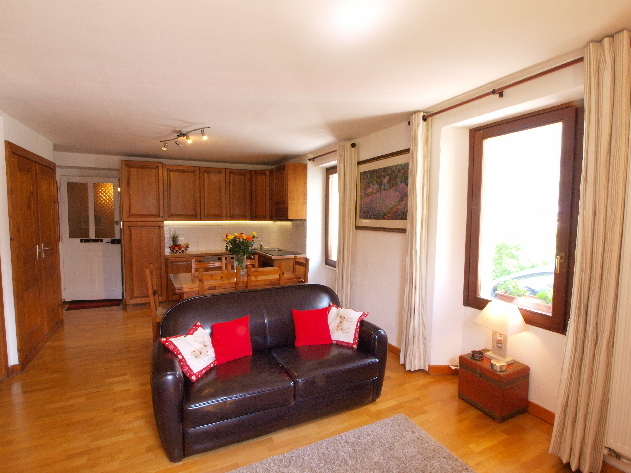 This apartment is on the ground floor of the house and provides a very spacious 70m2 of living accommodation, with absolutely stunning views from the lounge to Mont Blanc and the Aguille du Midi. Decorated to a very high standard the apartment has two bedrooms, one double and one twin, both with large fitted wardrobes. 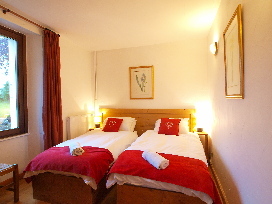 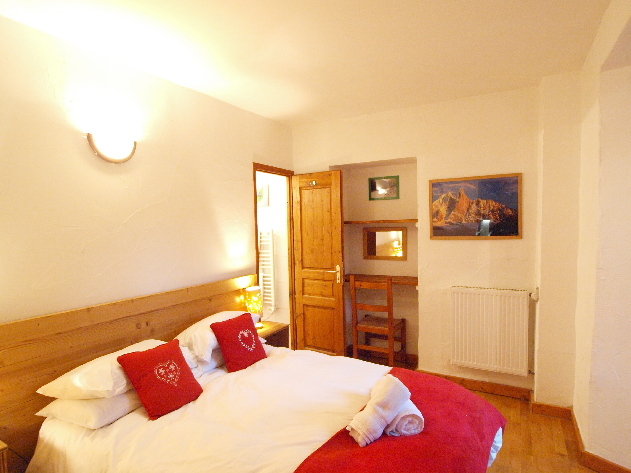 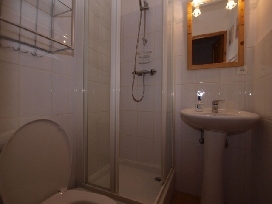 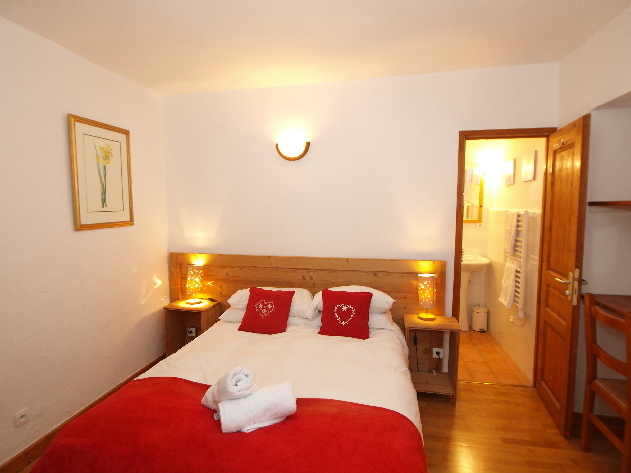 The double bedroom has an ensuite shower room and the twin bedroom can also be transformed into a bunk room. 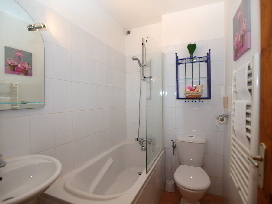 There is also a second separate bathroom as well. 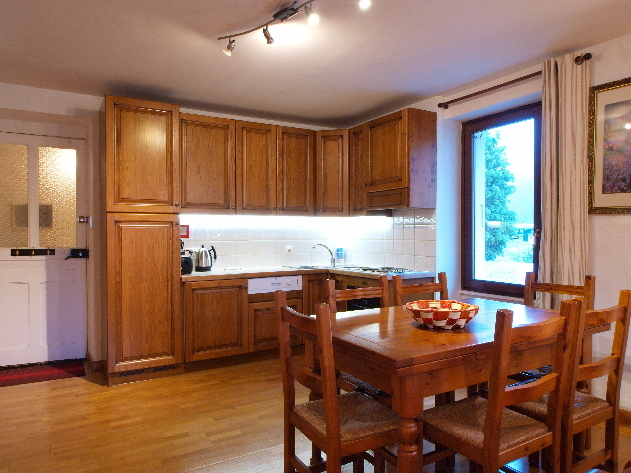 With stunning views to Mont Blanc and the Aguille du Midi, apartment Triolet is a luxury self-catered ski apartment located in Chamonix town centre and well communicated with the slopes. 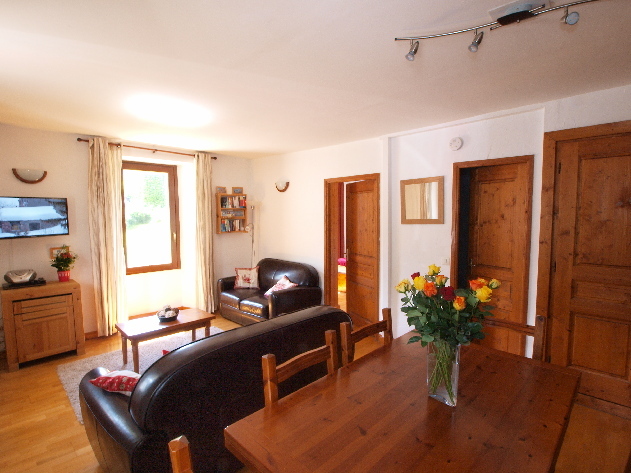 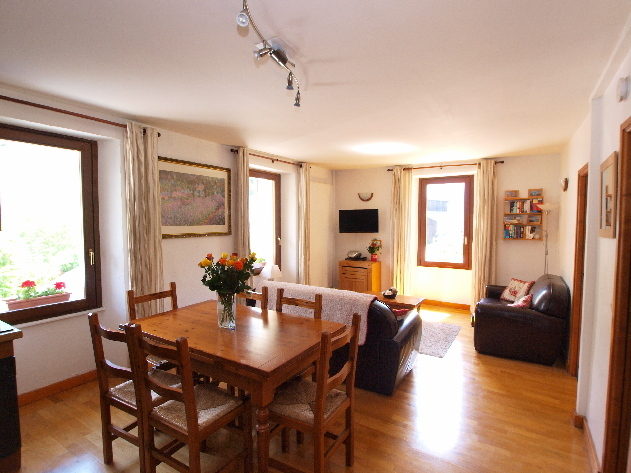 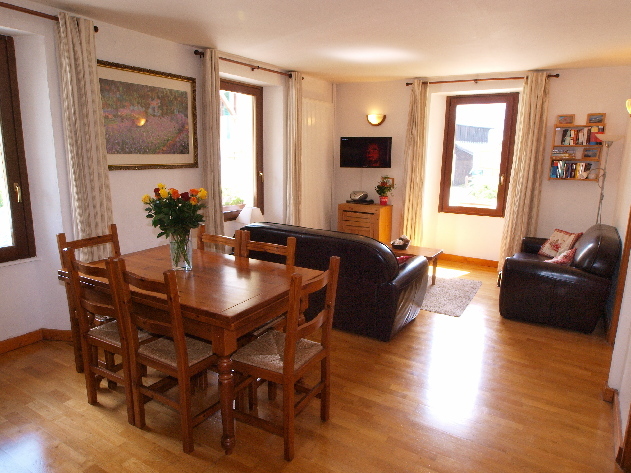 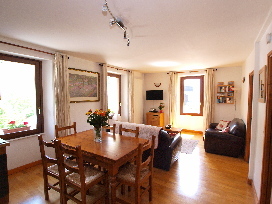 Ideal for those wanting to enjoy some luxury ski holidays, the apartment offers a fully equipped kitchen, high standard decoration and many more. Find more information below and plan your ski holiday today.